Made in the USA, the ever-popular Milady shows off your company's image, message, and contact information. This domestic version contains 8-9 sticks with white tips only. 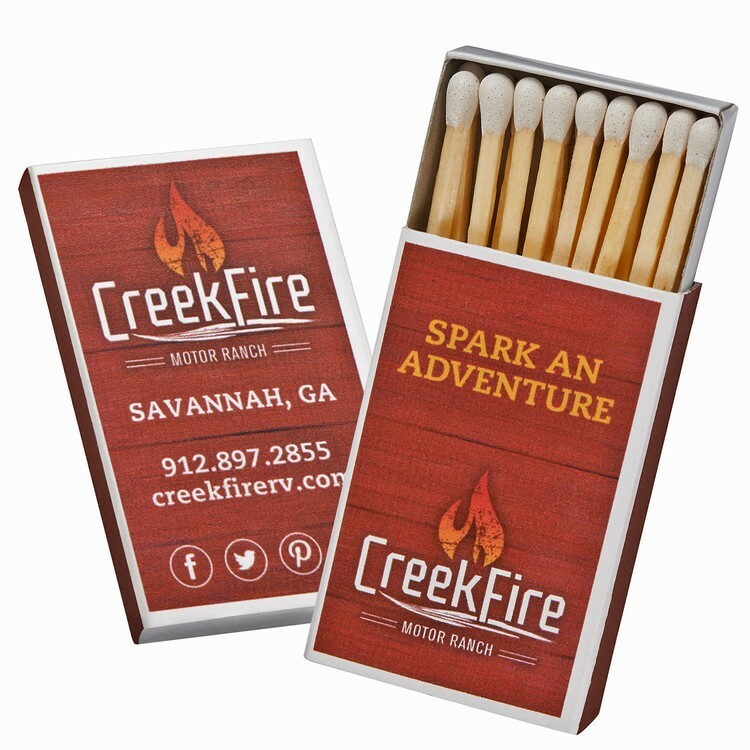 Wood matches are made to light candles, barbecues, campfires, pipes & cigars, fireplaces, gas stoves and grills, heaters, and other household appliances. 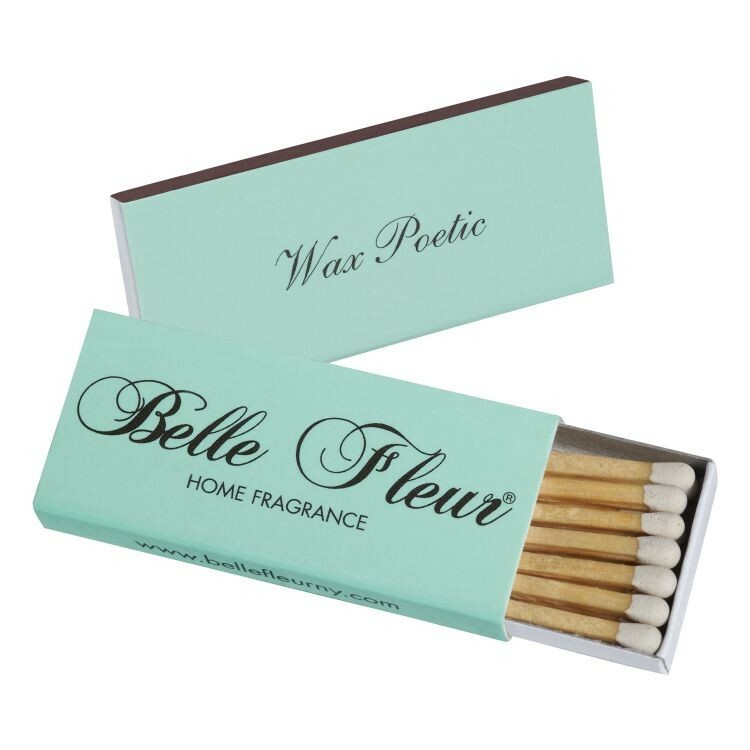 With each customer's use your Milady logo matchboxes can promote more business. "Base Price" includes 1-color imprinting on 3 sides of outer cover. Made in the USA, our popular Tiffany American box match shows off your company's brand, image, and promotion. The domestic USA version contains 18-19 sticks with red or white tips. The Tiffany box is perfect for candles, grills, cigars, pipes, or maybe just a glass bowl in the living room showing off where a customer has been over the years! Get your brand promoted today. "Base Price" includes 1-color imprinting on 3 sides of outer cover. -Printing on top and bottom only. No printing on spine. -All non-metallic Pantone spot colors are printed in CMYK. -Pantone matching not available. -Metallic Pantone colors are not available. 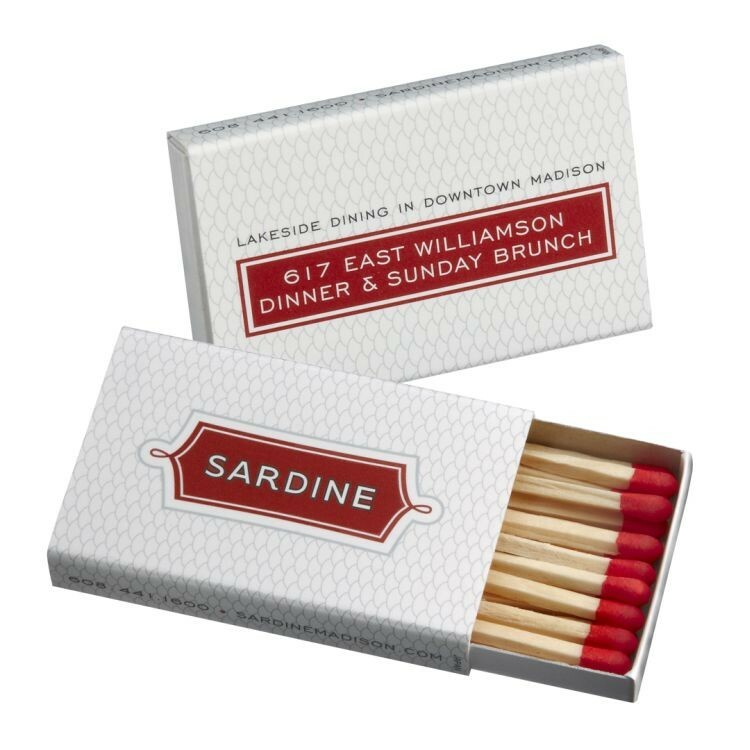 For 3-Inch Cigar & Candle Matches CLICK HERE:1018-DP3 & 1020-DP3 "Base Price" includes up to full color printed on top side (1-sided print) of outer cover.